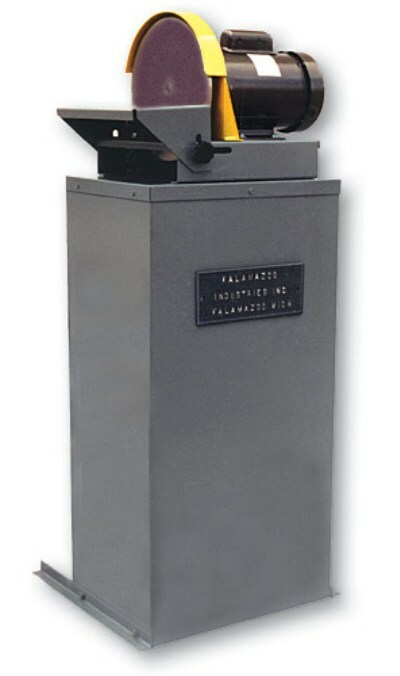 10″ diameter disc sander complete with enclosed stand and vacuum dust collector. 100 CFM vacuum base. Paper & cloth filter bags. 1/2 HP, 1 PH 110V TEFC motor.